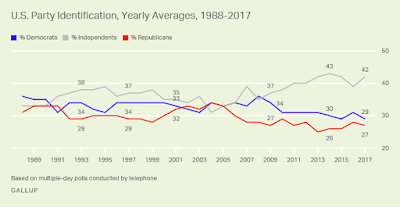 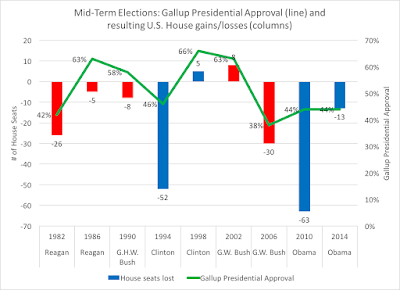 It's time once again, when folks will point to today's Gallup Poll findings that in 2017, "42% of Americans, on average, identified as political independents, erasing the decline to 39% seen in the 2016 presidential election year." 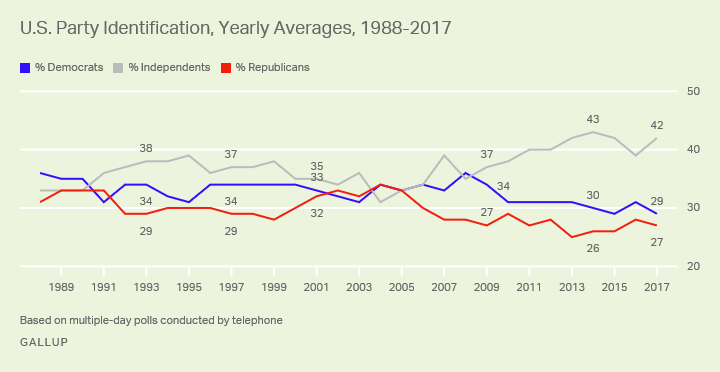 This will be heralded as the continued demise of political parties, when it comes to partisan identification, and calls will be brought forth for "see, it's time for a third party!" 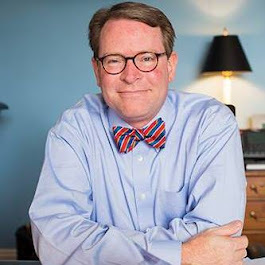 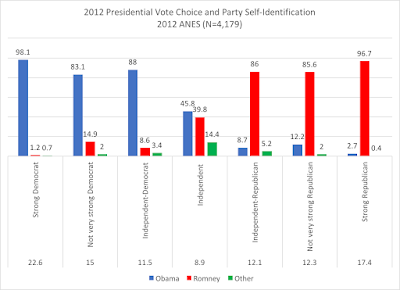 So when you take the 29 percent Democratic partisan identifiers and add the 18 percent independents who lean Democratic, then take the 27 percent Republican partisan identifiers and add the 15 percent independents who lean Republican, you'll find a 47-42 split among partisan identifiers and only 11 percent who aren't partisan (i.e., pure independents). Per the American National Election Study from 2016's presidential election, independent partisans voted 80 percent for their leaning party's presidential candidate. 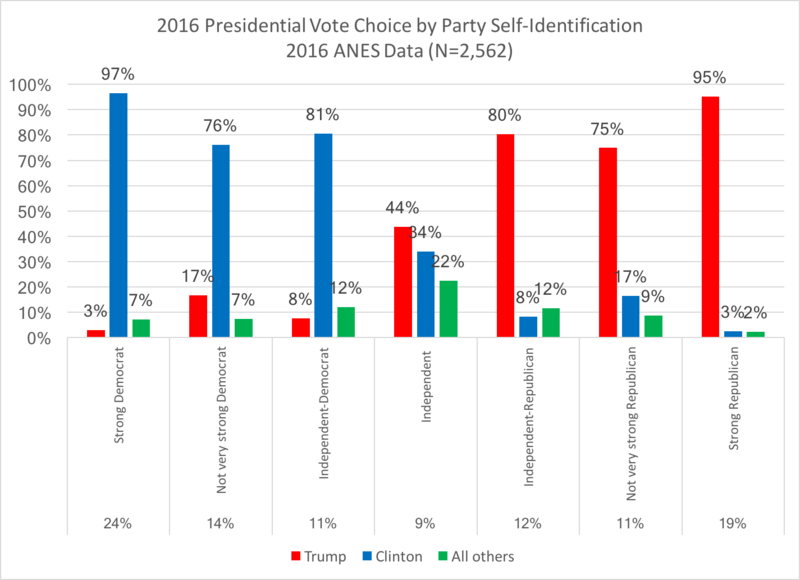 Meanwhile, those "strong" partisans voted 95 percent plus likely for their party's candidate, while "not very strong"partisans voted 75 percent for their party's candidate. 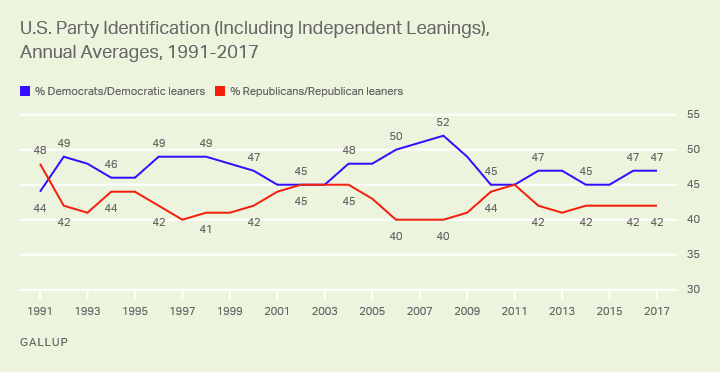 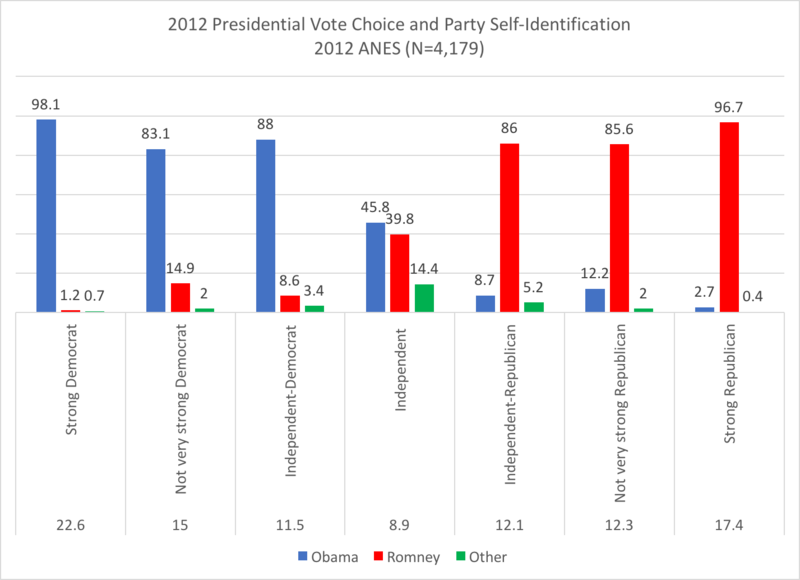 Are independents who lean to a political party really independent? 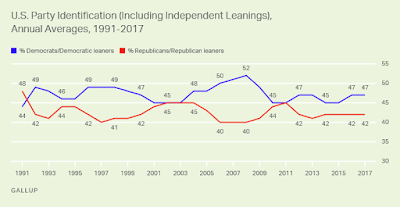 How about we just call them what they are: faux independents.